My husband and I love to travel. It's been great to have someone to explore a new place with, each focused on something different. Him: history, relevance, sports, and culture. Me: food, relevance, and culture. Together, we have grown to have a better appreciation of all the places we visit as we take on each other's perspectives. 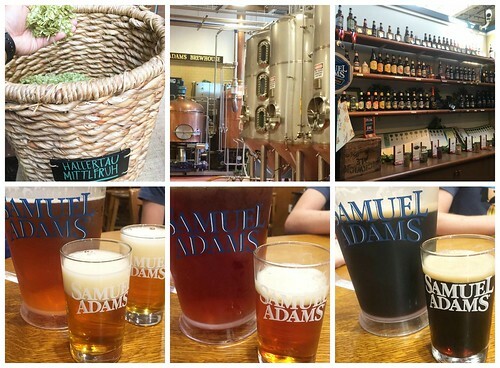 So with a full week in Boston, here's what we tasted and what we recommend should you decide to visit this amazing city! This is a 3 part post where we'll split the various places (as they are quite a bit! ), including some places in Cambridge, MA as well. Ready for the run down!? * This is a unique 1920's inspired restaurant set inside a modern, hipster bar. Named after Humphrey Bogart (aka Bogie), the restaurant is small, quaint and seats about 10-12 people at any given time. We loved how it's a completely different vibe than the bar it's set in with the velvet walls, burgundy curtains and a speakeasy secret feel. We were shown some of the various hidden doors, cabinets, and exit ways in the space, left from the original building. 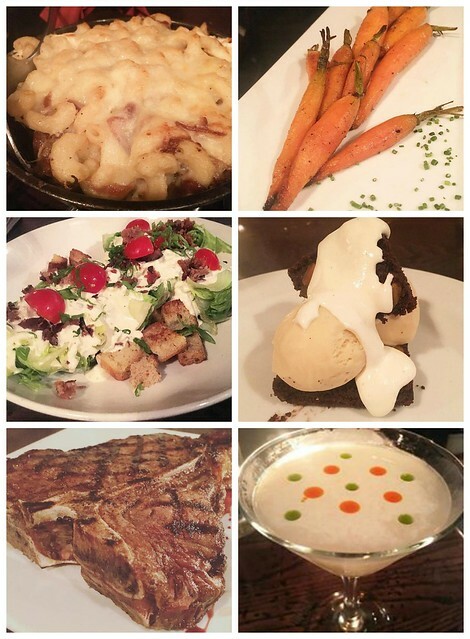 As for the food, it was pretty amazing for steakhouse fare. Portions were pretty generous, so much so that we split each course between the two of us... and still had leftovers to take home! We took in a game at the 'Green Monster' - the famous Fenway Park. There are plenty of food options outside of Yawkey Way, a major street in front of the park that is closed off for ticket holders, street performers and vendors to use before the game. But as you may have guessed, prices on Yawkey and within the park are steep. 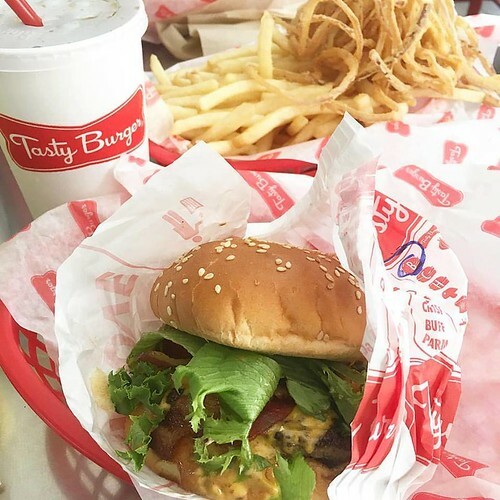 Instead, we hit up Tasty Burger, a Boston burger chain that has 5 area locations plus one in the DC area. If you ask me, it's Boston's version of the In & Out Burger, only (dare I say) better? The thing to get here is the 50/50, which is half fries and half onion rings to go with your burgers. Patrick prefers to go full on with just the super thin sweet onion rings next time, but I liked the variety of both. The burgers are awesome - perfect ratio of bun to burger to toppings. And because Tasty Burger is the official burger of the Boston Red Sox, it seems only fitting that we try the location at Fenway. For a unique drink option, give the Cherrywine or the Raspberry Lime Rickey a try! 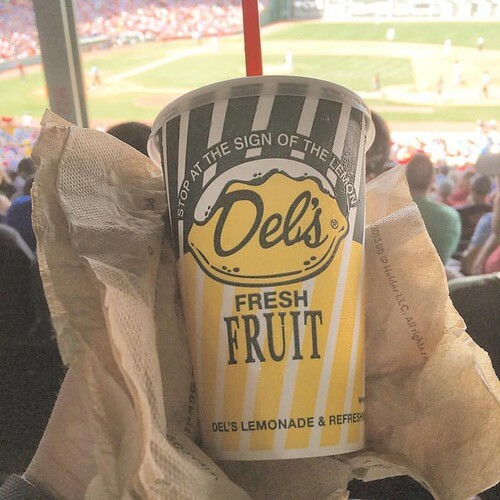 While watching a Sox game, you will soon learn about Del's Frozen Lemonade. A refreshing slush made with crushed ice, lemons and sugar, it's a must at a summer ballgame at the Monster! If you're looking for a more refined place to eat after a Sox Game, check out Island Creek Oyster Bar. They start things off with housemade bread and an amazing compound butter. For an appetizer, give the fresh oysters a try! The lobster roll is especially good with little to no mayo... just a lot of fresh lobster meat set in a toasted rosemary roll, served with coleslaw and kettle chips. Another dish we enjoyed is the Fish & Chips. If you love ciders, we fell in love with Downeast Ciders, a local cider available only in the east coast. This was refreshing and truly tasted like apple juice with a touch of sweetness! Boston is most definitely a sandwich loving city. There are all kinds of delicious sandwiches to be found here but one of the best sandwiches is at Sam Lagrassa's. This downtown sandwich shop is only open Monday through Friday from 11am - 3:30pm. If you do the math, this place is open 22.5 hours a week. So the window for getting your hands on their sandwiches is relatively small. That said, plan ahead! The most popular sandwich on their menu is the Chipotle Pastrami. Their famous Rumanian pastrami is topped with coleslaw, swiss cheese and a spread of chipotle honey mustard before being grilled on an Italian sesame roll. Another recommendation is their Roast Beef Blues. Black Angus Roast Beef is served on an Italian sesame roll with horseradish, caramelized onions and crumbled blue cheese dressing. For a few dollars more, you can make it a platter meal with the addition of french fries (or potato salad) and coleslaw. And while in Boston, try some clam chowder! Sam Lagrassa's version is good too. Boston is a city of many firsts and historical moments. 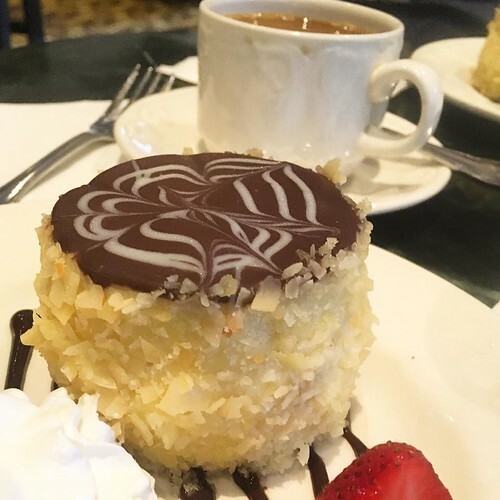 In the food world, the Boston Cream Pie's birthplace was at Boston's Parker house, now widely known as Omni Parker House. Inside the hotel is a restaurant called the Last Hurrah. It's there where you can come in and order the original version of Boston Cream Pie. Interestingly, it's not a pie at all but rather a yellow layer cake filled with pastry cream and topped with a rich chocolate frosting. Decadent yet the perfect portion size! Across from the XV hotel we stayed at, we ventured to this Irish pub. Boston owes a lot to the Irish immigrants who help build the city years ago. As a nod to the Irish, we wanted to try some authentic Irish fare and Emmet's didn't disappoint! According to the menu, the restaurant is named after an Irishman born in Dublin. He was involved in some uprising in the summer of 1803 which led to his arrest and was tried for high treason. He was then executed and there is speculation over where his remains lay. 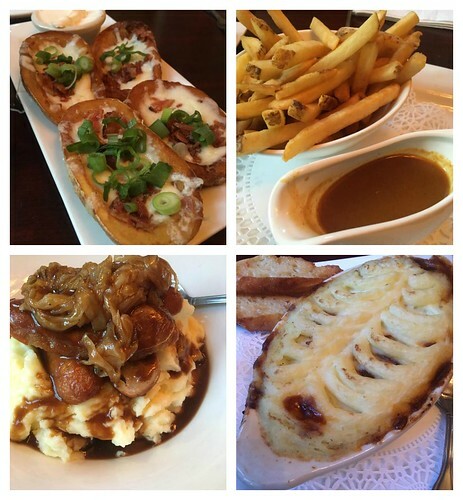 Aside from the deep history of the restaurant, we recommend the curry chip and Irish potato skins. For entrees, the restaurant is especially known for their Shepherd's Pie. Another recommendation would be their Irish Bangers & Caramelized Onion Mash. On most mornings during our trip, we ate fresh fruit and yogurt so we could eat heavier meals during lunch and/or dinner. However, we could not visit Boston without a breakfast trip to Flour Bakery + Cafe. We enjoyed the Breakfast Sandwich with ham (also with bacon). 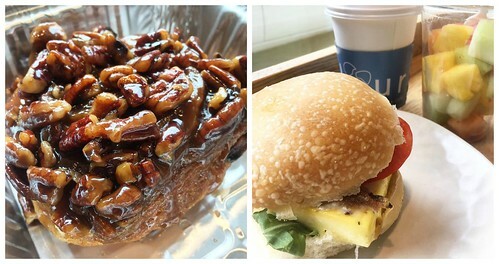 The true star of this bakery though is their Sticky Buns with dark, sticky caramel and toasted pecans. The bakery also has 2 cookbooks - Flour & Flour, Too - which I picked up as a souvenir. I can't wait to crack them open and start baking! Legal Sea Foods is an iconic Boston restaurant chain and no trip to Boston would be complete without a visit. So as much as I wanted to resist, we checked out the airport location for that one last taste. As if I needed any more lobster, I opted one last lobster roll and one last bowl of clam chowder here. Patrick enjoyed the calamari. 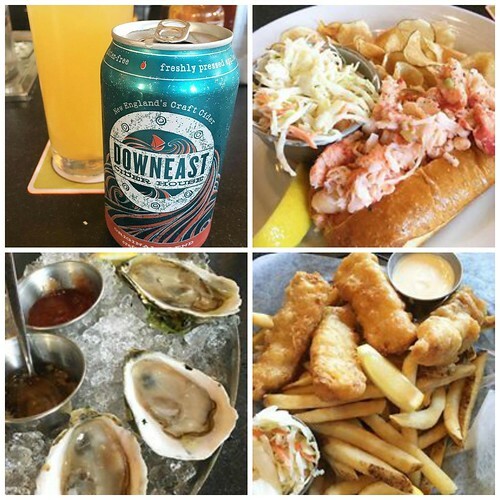 It pretty much summed up how wonderfully delicious Boston is and we can't wait to come back for more! Stay tuned for more Boston restaurant and food recommendations with Part 2 - The North End!